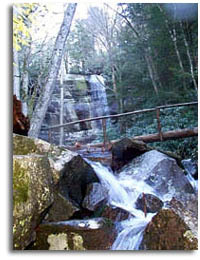 Blowhole Cave is located in the Whiteoak Sink area of The Great Smoky Mountains National Park which is in Tennessee. Permission from the park service is required to enter the cave. Trespassers will be prosecuted. Latitude - N 35° 38'19"
Longitude - W 83° 45'15"